Here’s the thing: at some point we all need to tie into something that is a little bigger than we are, a little scary, something evolutionary in nature with a significant time commitment. There are lessons to be learned in these long haul endeavors, lessons that have transferable properties that show up in other areas of life: friendships, marriages, communities, faith, and athletics. The long haul teaches resiliency in a time when so many are conditioned to expect ease of operation, instantaneous answers to online queries, overnight shipping from Amazon, and flawless lives lived seamlessly on social media. One of the constant adolescent illusions we battle today is that something can come from nothing, or in alchemistic fashion lead will turn to gold with the right, easy incantation. And that’s why we need these projects. This week I have been in Baltimore, Washington DC, and on both coasts in Florida. 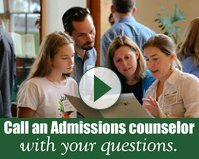 In a conversation with one alum from the class of 49’, we discussed this topic. Were students still learning about the value of hard work and sustained effort? This alum had built a national company with over 5,000 employees and he talked about the challenges of finding employees today with the work ethic and education to handle what he needed. He talked about the pockets where he could find great employees and the challenges in other regions. 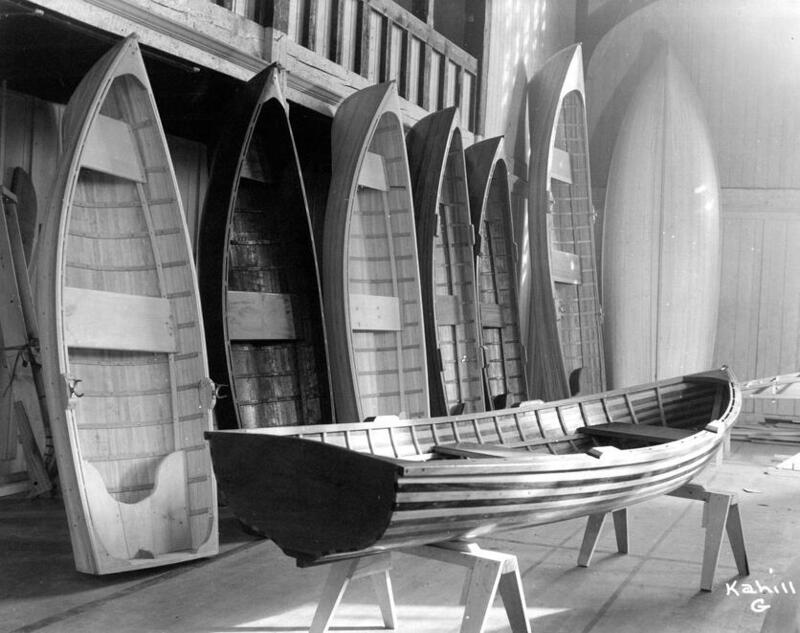 And that got me thinking about boat building and its long history at Proctor. 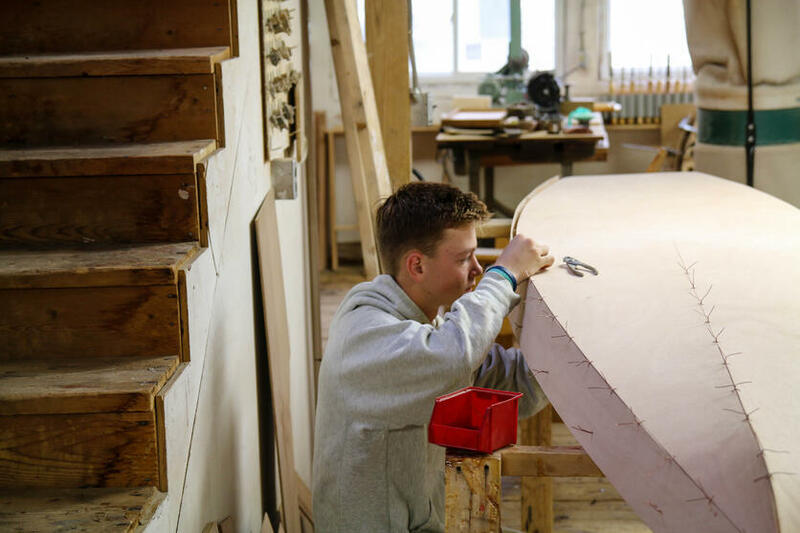 If ever a project can dispel the teenager illusion that quality comes quick, cheap, and overnight, it’s building a boat. 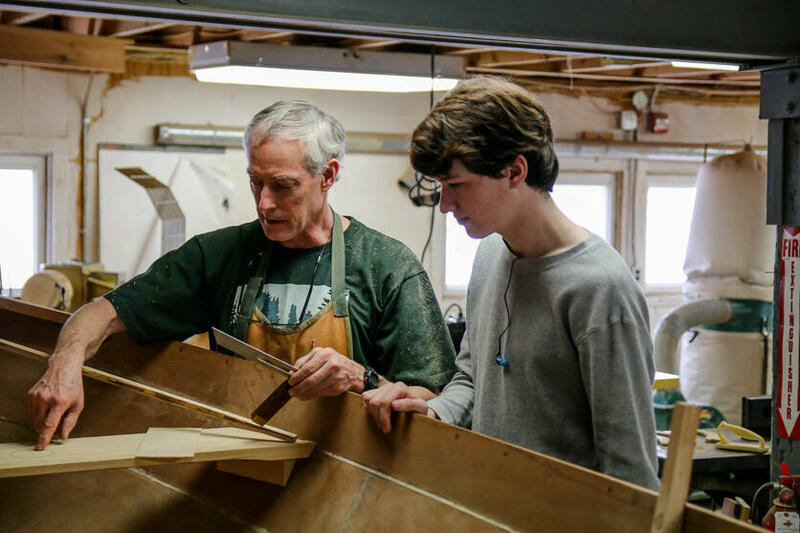 As Greg Allen will tell anyone who asks, you need to sign up for woodworking for at least a year and set aside many hours in between for the commitment. Any less time often result in a partially completed project and a world of frustration. 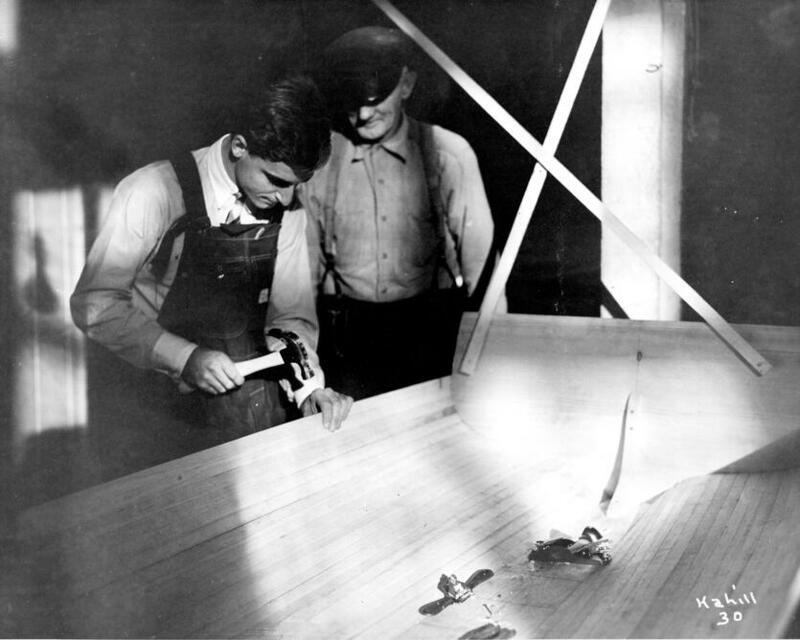 There are the plans, the measuring, the cutting and bending of wood, the tedious nailing, the fiber glassing, and the endless sanding and finishing. And what to do when the mistakes happen? Pack up the tools and quit? Or adjust, seek Greg’s counsel and guidance, and work on? Students always opt to keep going, rising to the challenge. There is something authentic about working with hands in that room of table saws, planers, and drill presses where the smell of wood permeates.There is something about seeing a boat take shape and the emergent pride of craftsmanship and self reliance that comes with creation. It doesn’t happen overnight. Sometimes it takes months, but when it does happen it layers an ethos into the craftsperson. It’s unavoidable. Call it grit, call it resiliency, call it whatever trending word you want, but it is good for the learner and it is something that travels well over the years. Learned once, it is transferable countless times. 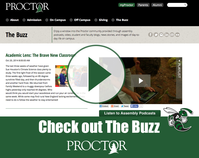 It’s not easy, not quick, and it sure isn’t only found in the wood shop at Proctor, but it’s a critical part of what we believe about education. We cannot learn to live without it, and when found it helps us live to learn.